Blogger, Tumblr, and WordPress: Which Blogging Platform Fits Your SEO Needs? NASHVILLE, TN – Evaluating your SEO strategy may seem daunting, but one adjustment you could make (if you aren’t already), is to add a blog to your business’s website. Millionairium’s CEO Ali Husayni emphasizes the importance of blogs to overall SEO efforts. 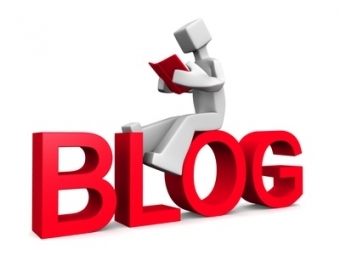 “Blogs seem to be an important part of any site because they get updated on a regular basis. I suggest site owners should write for their sites on a regular basis. The more fresh, quality and relevant content they post to their sites, the better chances of exposure and inclusion on Google search results they will have,” Husayni says. As a blog enthusiast, I’ve tried out all three of these. I find Tumblr visually stimulating, but for SEO optimization, it seems Blogger (powered by Google) and WordPress are more content heavy and content friendly. All three platforms let users upload posts from their phones, schedule posts, and view statistics. While Blogger and Tumblr show Google Analytics and allow third party tools, WordPress only shows users WordPress Stats. Google’s free blog service, Blogger, allows users a simple and visually dynamic website that takes just a minute to set up. On your dashboard, you can view statistics of your visitors, save other blogs in your reading list, and add widgets to your sidebar. In Blogger, you’re able to edit your template’s HTML and save those changes. If you code your own themes, you can upload them to Blogger. This makes it pretty easy to customize, assuming you know HTML, while still being free. No advertisements will show on your Blogspot blog unless you choose to monetize your blog. Within your Blogger dashboard, you can view your website optimized for a mobile phone. One of the biggest complaints I’ve seen with Blogger is the inability to create a static landing page on your blog or website. There seem to be a few ways to overcome this through HTML, but they seem to be hit or miss. WordPress hosts many personal and business blogs as well, and users seem to agree that self-hosting your WordPress blog is the way to go, but you’ll have to pay to host it yourself. The free version seems to have good benefits as well. WordPress also has widgets, and the layout includes categories for you to add key words and tags, increasing your SEO reach. WordPress doesn’t allow users to manipulate the blog templates in CSS without paying an upgrade fee. Your blog posts will also be accompanied with advertisements (unless you pay to upgrade). While Tumblr is the baby of these three platforms, it has gained quite a bit of blogging street credibility. With Tumblr, you can follow other blogs easily. From your dashboard, you’ll see a timeline of blogs that you follow, with the most recent at the top. This layout is optimized for comments and for sharing other people’s posts on your own blog (called “re-blogging” here). When you post something to Tumblr, you first choose the type of post, such as “quote”, “video”, “photo”, “text”, “link”, or “audio.” If you have an iPhone or Android, posting content through the Tumblr app is super simple. Tumblr also has many more free design templates than WordPress or Blogger. Tumblr may not be the place to reach all potential clients. If you’re an artist or a photographer, i.e, someone with a visual portfolio, Tumblr might be the way to go. If you’re writing lots of content, Tumblr may not be the most text-friendly place to blog. This is a very brief overview of these powerful services. It barely scratches the surface, and the best way to get to know a blogging service is to try it! There’s no harm in trying out a Blogger, Tumblr, and a WordPress blog, especially since they’re all free. See what format you like, what makes sense to you and your business. Combined with a fierce SEO strategy, like the ones implemented through Millionairium’s SEO experts, blogging provides fresh content to move your business up the search results page. Which blogging service do you use for your business? What advantages and disadvantages have you found with your preferred service? Great job Jessica, you have written everything we need in blogging and these blog sites are very good to make your blog and optimize your content in the target audience. I am aware of these things but by reading your post I can easily get the best things I am not applying in writing blogs. I appreciate the advice you gave. It was very helpful. I am curious to find out what blog system you are working with. We use WordPress for all of our sites and clients. We\’ve seen great SEO results. WP is in sync with Google. There is a plugin with WordPress for SEO you can use. My question is will tumblr rank well in Google ? I want to create back links to my wp-blog’s page using tumblr. Does it work well ? We\’ve never used Tumblr for ourselves or our clients. or subscribe to an RSS feed. This gives you all the information you need with regard to the services and products. My question is will tumblr rank well in Google ? I want to create back links to my wp-blog\’s page using tumblr. Does it work well ? Do blog platforms affect the rate of SEO that I apply? I m using wordpress for blogging. Thanks for sharing your experience, I personally enjoy both Blogger and WordPress for regular posting. me. Nonetheless, I\’m definitely happy I found it and I\’ll be bookmarking and checking back often! This is the only time I\’ve been to your website. Thanks for providing more details. I\’m trying to get my blog to rank for some targeted keywords but I\’m not seeing very good results. For SEO and Ranking purpose, Blogger blog is best. If you just want to share content or explore something new everyday, Tumblr is best. WordPress is the best platform, you have shared such a great content.Thanks a lot for sharing such nice post. By the way.. WordPress is for real bloggers :p Okay, no offense really. It\’s just my personal preference! Hi, I loved the article. I do sort of the same thing. Since you seem experience I would really love it if you would visit my site and check it out. Give me some hints or tips, maybe? I also need good knowledgable mods for a forum I am starting and would really love someone who can volunteer to add content and help others. Thanks! wordpress is very commercialized. but as they say \”You get what you paid for\”. so ill just stick to free blogger for the mean time, such until i got money to fund my blog. Yeah, you are absolutely right on this one – Blogger! I believe Blogger is the best of all! Especially when it comes to customization. Although the layout still needs to be worked on, which can be dealt with a little theme customization. Hi ! Every time you post any thing on facebook, I go through the post and I always found information that helps me to improve my knowledge and my site content. Thanks to you for your research and sharing. Thank you for reading! Is there a particular SEO topic that you would like to see us cover that we haven\’t yet?